Poles and tracks come in a huge variety of finishes and lengths, they are available for all types of rooms, they can be made to measure or cut to length, poles are available in different widths you can choose from 19mm, 25mm, 35mm and 50mm. We have a selection of over 200 different poles and tracks to choose from. 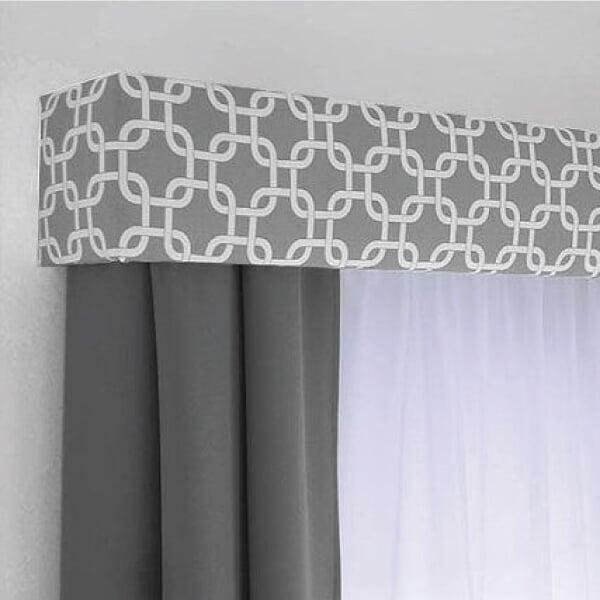 A pelmet is a fabric covered board which is slightly padded, it conceals the track and curtain heading. Pelmets can be fitted to almost any shape and size of window, the design can be adapted to suit different windows within the same room. A pelmet can be made to whatever style you require. A valance also conceals the track and can be finished in various headings including pencil pleat, triple pleat, goblet pleat box pleat and smoked pleated. The range of accessories to compliment your curtains is huge you can have anything from piping, braid, bullion fringing, tassel fringing, tiebacks cushions, lamps, throws, bedspreads, valances, headboards or even a loose cover on an old chair, all of these ideas will compliment your curtains and bring your room together.